Started running again in October. First time since I was 25. Now 43 so it's been quite a while. Been steadily improving so decided to up my mileage this week. So here's my breakdown. Feel fine after the runs & have noticed my recovery has improved. Goal at this time is to do a 10k under 40 minutes which i feel is achievable if I can maintain my current mileage. Any feedback, tips, training schedules is much appreciated. H/Marathon 77 or 78 mins can't remember. My real question is am I on the right track to break the 40 min 10k again? It sounds like you are getting back into the swing of things again! 18 years is a long time since you stopped running. So my first advice would definitely be to not rush into it too fast and increase your mileage safely. You are not 25 anymore! Keep healthy, first and foremost. 10k in 40 minutes definitely sounds doable for you given your fast times in the past, although it is not easy to assess how far you are from getting there. When looking at your distances and times I wondered what the pace was you used for your 11.2 miles in 82.41 minutes? If it was an all-out effort then my race conversion calculator suggests that you would run a 10k in 44.15 minutes. That's not completely there yet, but after only one-two months back into the running game it is very good. However if that was an easy run, then you'd be well, well on your way to break 40 minutes (meaning it would surprise me if you would not be able to do it now). I worked that out by using Daniels' Running Formula. He uses two sets of tables to link race times with running training pace. interval pace of 3:48/km (for this pace Daniels suggests that running as far as a mile is not beneficial as it would breach the 5 minute barrier for running intervals). Now, one warning when looking at these training times. Do not immediately attempt to make your easy pace 4:58/km if it is currently 5:30/km (for example). That would lead to a higher risk of injuries. It is something to gradually work towards. 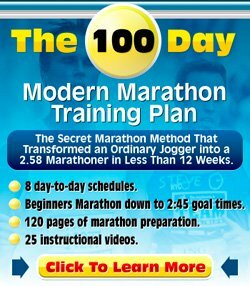 As you run consistently, increase your mileage gradually and follow a sound running program you will start running faster naturally (Daniels can help you with that as well. The back of the book is full of running training templates). You may find that, because you haven't been running for a long time in your "second life", that you will quite quickly start going faster. Do lots of easy running to build up your base, stay away from running injuries and I'd say that over time you will be able to break 40 minutes again. Best of luck with that. I hope you'll make it. More than that, I hope you re-discover the joy of running and keep on running for the rest of your life!